← She’s Lucky at 8months with FooFoo Threads!! This One’s for the BOYS! Boy Bundle Up Tour!!! Are you tired of all the girl sewing lately? 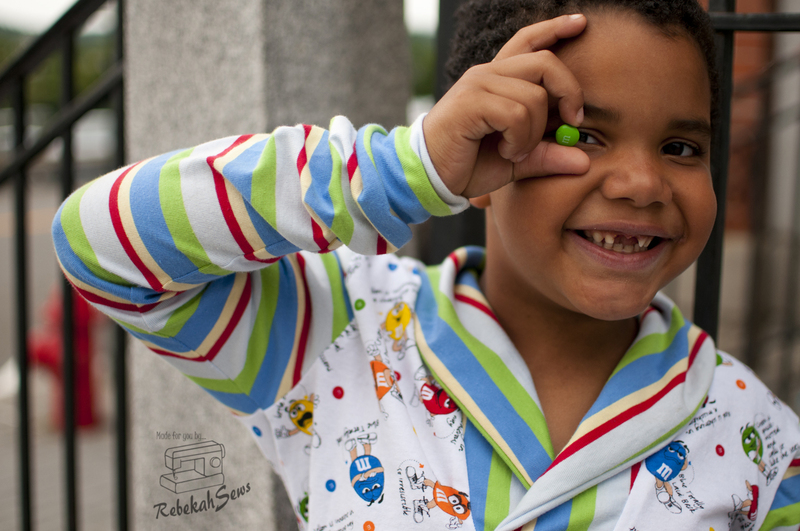 I know the focus has been on Ruth and while she is adorable and the clothes just as cute, perhaps you would like to see a little something different? 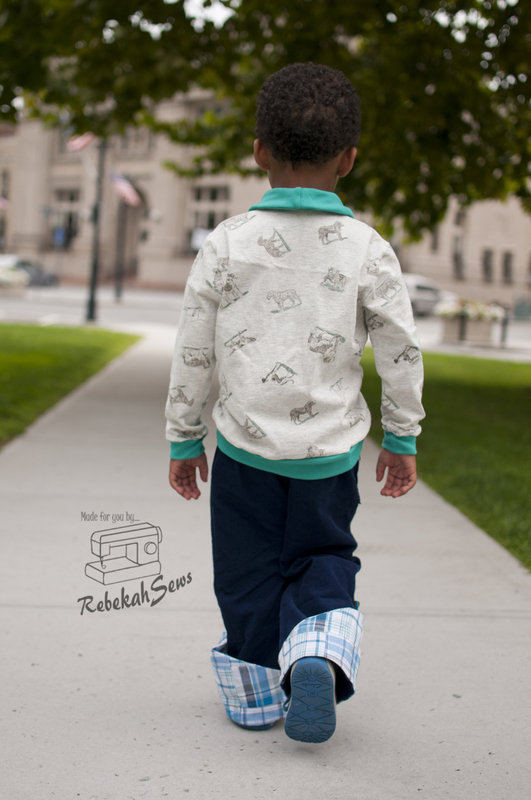 Let’s take a little breather and take a look at my handsome men sporting their Boy Bundle up patterns! 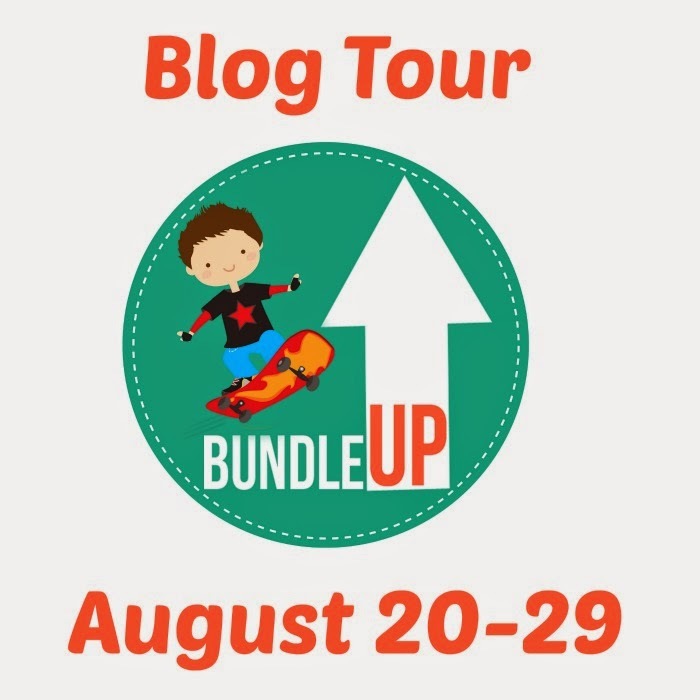 Haven’t heard of the Bundle Up (gasp!)? Then let me tell you about it first. This sale features 12 new patterns all by well known designers. 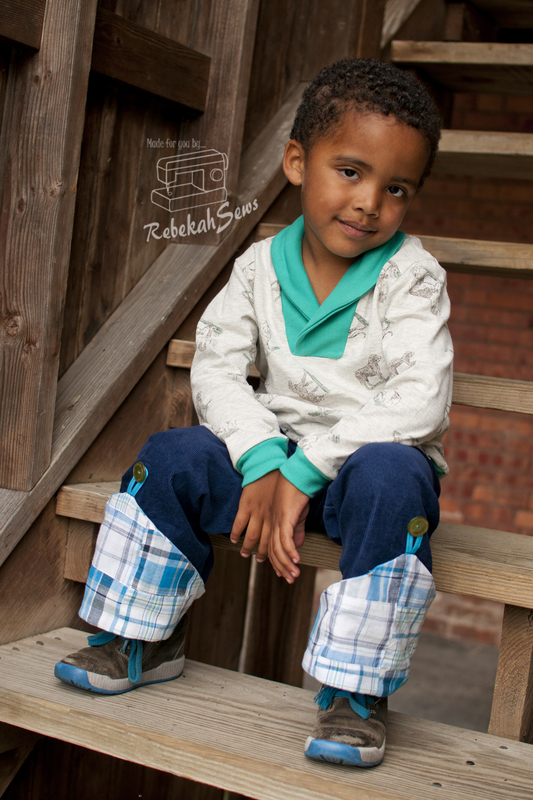 These are all brand new boy patterns this time around! Now the best part is that you can make your own bundle. Buy 6 or 8 or 12 patterns. The more you buy the more you save! And trust me you will want all of these! Don’t forget to get them soon as the sale ends 8/29! When I found out about the Boy Bundle Up I just had to get on the tour. 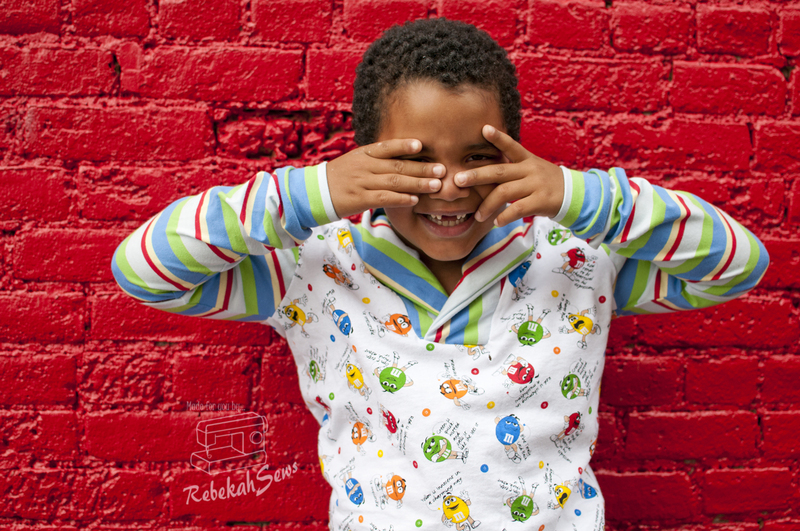 I emailed Robin from Pattern Revolution and luckily she allowed me to participate! Then came time to pick the patterns I would feature. Now that was hard!! There are so many amazing patterns. I finally decided on Greenstyle Creations Shawl Collar Pullover and Brownie Goose Designs Butler Britches. Let’s dive right in shall we? First up is the Shawl Collar Pullover. This one is by Greenstyle Creations. I have made many garments using Greenstyle Creations patterns. I always find them easy to follow with the end result being exactly what I want. This is no exception. I think it’s the collar that sold me on this one. I love comfy yet classy clothes. Yes, clothes that are comfy enough to play in but still polished. That is what this is: polished comfort. This will be perfect for the upcoming cold weather too. It features long sleeves with cuffs, cuffed hem, optional shoulder tabs, and includes instructions for putting a button on the collar if you so choose! 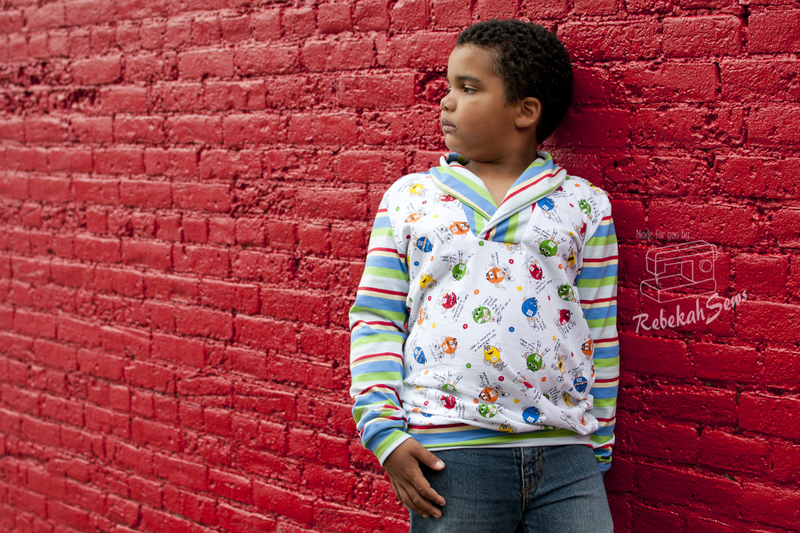 This top ranges in sizes 2T-16. Yay for bigger boy sizes! This pattern is for knits, anywhere from the medium weight to heavy weight knits. I made one for each boy both out of medium weight knit. If you can’t tell from the photos, the Shawl Collar Pullover got a big thumb up! Next up is Brownie Goose Designs Butler Britches. I have never sewn a Brownie Goose pattern so I was eager to try one. I wasn’t disappointed either. 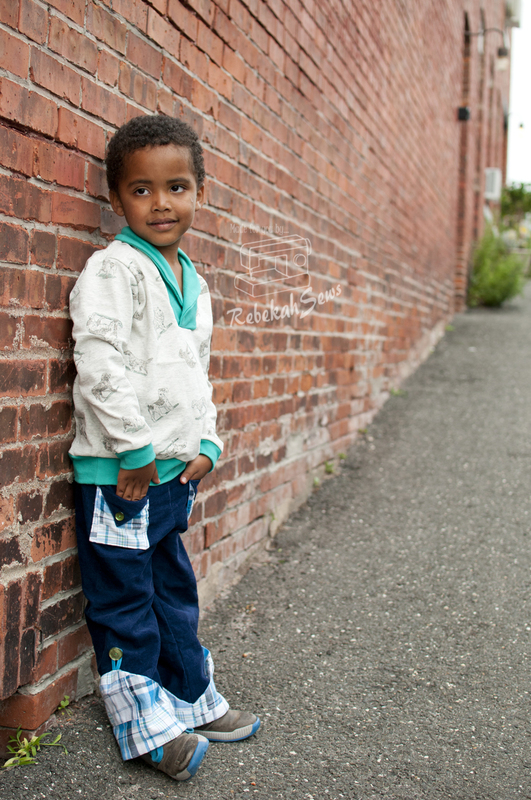 Firstly the look of these pants is just awesome for boys. It is fresh, fun, yet simple. 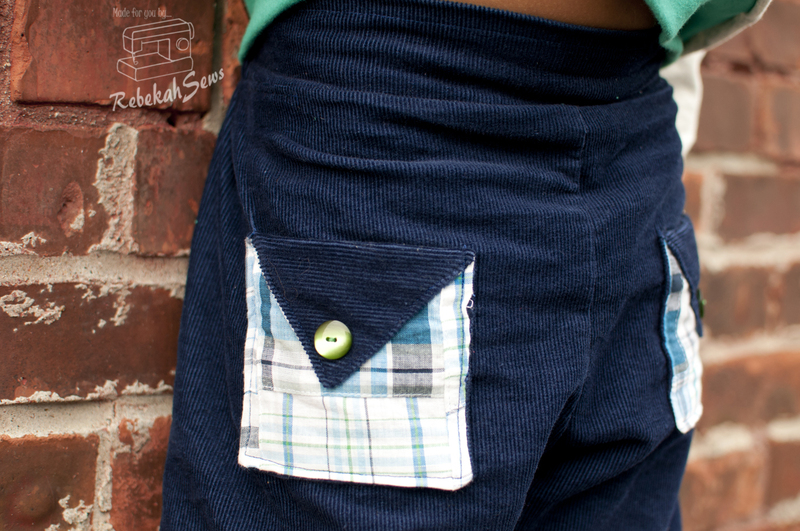 You can create these with a flat front waistband or a continuous elastic one. Also there are two pocket options to choose from and then to make things a little more fun, you can place the pockets anywhere you choose. That’s right there are no right or wrong place to place those pockets! Brownie Goose gives you free range. Finally the cuff is the cherry on top of the sundae. They add that special touch that just gives it that unique and cool look. This one comes in sizes 6-12mo to 10. Paired together with the Shawl Collar Pullover and I have one handsome dude!! Good luck trying to have self control during this Bundle Up sale! I know I certainly won’t. 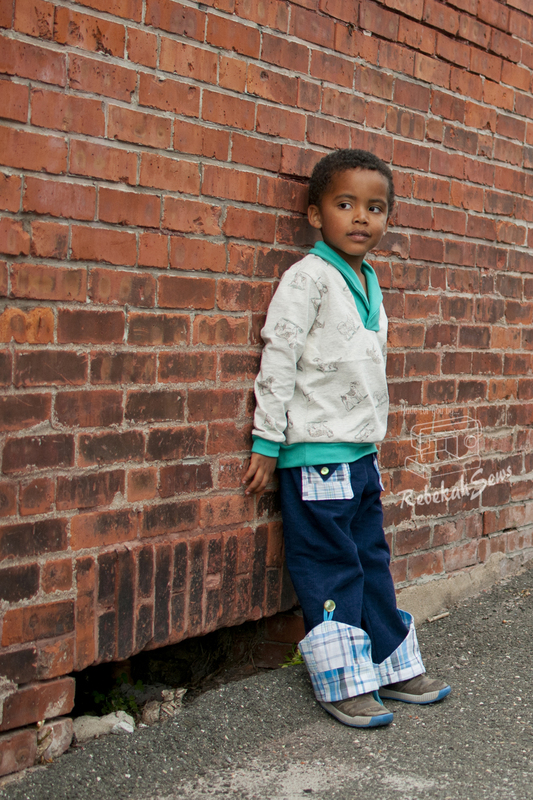 The combination of patterns could make an entire boys wardrobe. He would certainly be a happy little king then! So head on over and get all 12 patterns. You know you want to! 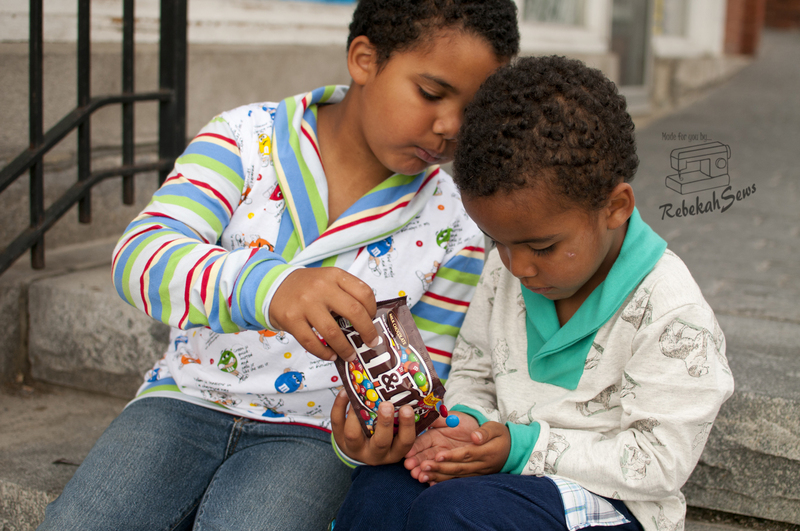 After all that hard work modeling, they got to share M&Ms…Yum! Nice work on both patterns! 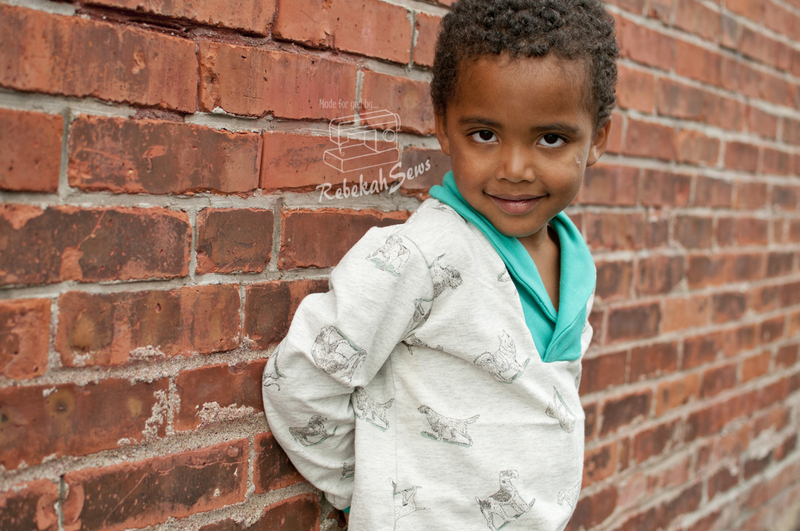 Your little men look so handsome in them. I love that dog fabric-is it something I can still find to buy? I have one particular boy with a birthday coming up who would love something made from that! Thanks Bethany! I have been trying to see if I could find the name of the fabric for you with no luck :(. I purchased it years ago off of eBay. Happy birthday to your little guy though!!! I hope you can find something he will love! 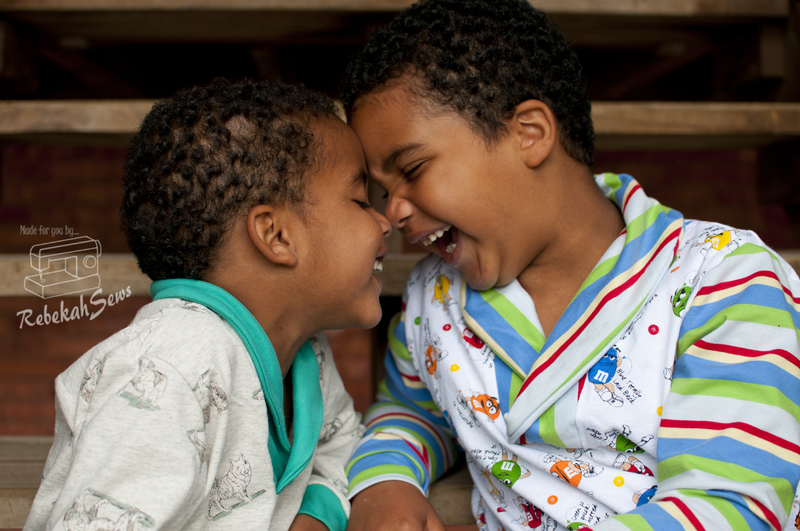 Your boys are so handsome and I just adore that picture of them laughing together! !